There are several modalities to help those suffering from depression, but what has the best result with minimal impact on other dimensions of health? Common depression medications prescribed by physicians are associated with a plethora of unwanted symptoms including, but not limited to, anxiety, sexual dysfunction, weight gain and insomnia. Another more invasive depression treatment is electroconvulsive therapy (ECT), where seizures are electrically induced to provide relief from mental disorders. ECT side effects include severe memory loss, dry mouth and an increased chance of hospitalization. Why spend time and money to fix the problem when the outcome involves another set of healthcare problems? Transcranial Magnetic Stimulation (TMS) is the FDA approved treatment for Major Depressive Disorder that helps individuals suffering from depression to regain their lives back. What’s the catch? There is none! 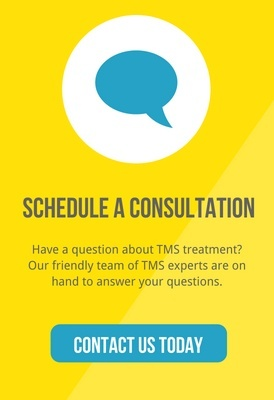 A lack of negative side effects is one reason why those suffering with depression seek out Achieve TMS. The only side effects of TMS – transient headache and dizziness for some — are moderate and easily controlled. Achieve’s friendly TMS technicians have Tylenol packets on hand at every office for any patient who may need them. Call our support number at 844-HOPE_TMS for more information on how you can limit side effects of depression treatment with results that work! Rachel is the Lead TMS Technician at Achieve TMS Centers. She is passionate about where she come from, and where she will go. Finishing up her bachelors degree at CSUSM, she is looking ahead to going to graduate school to get her masters in PA.